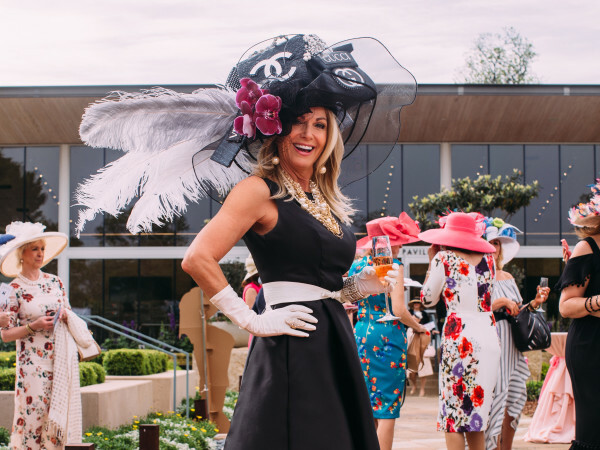 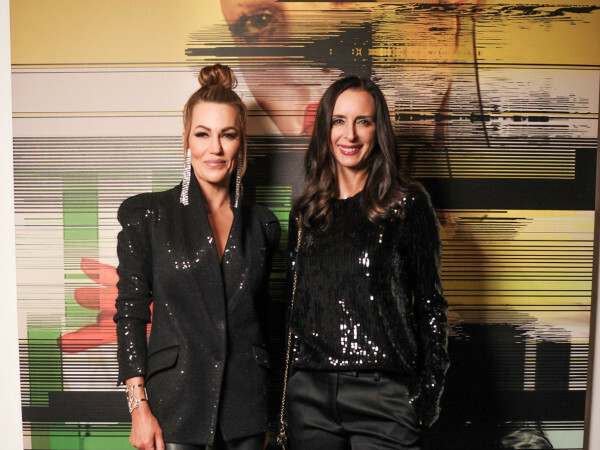 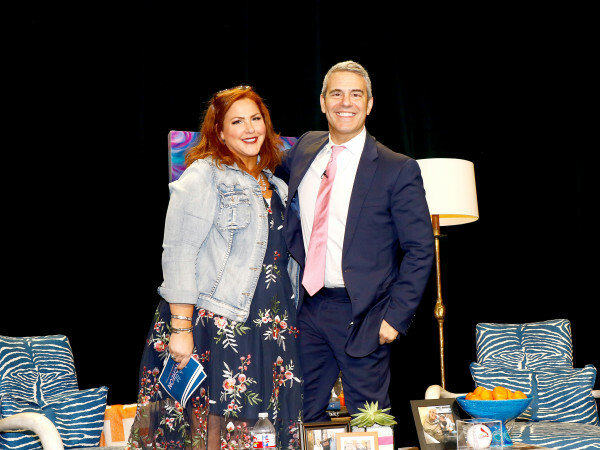 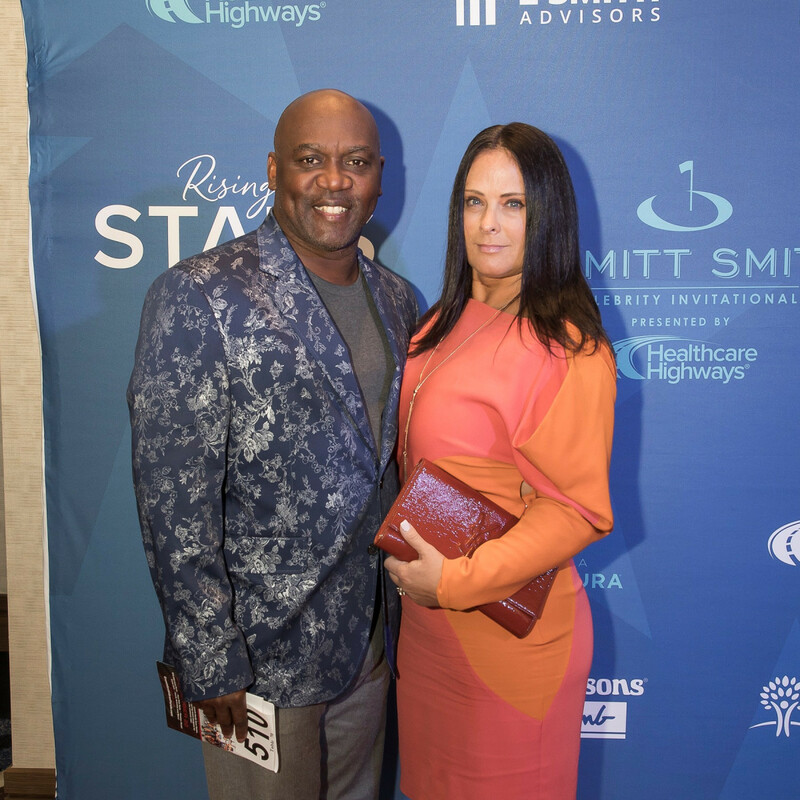 The 411: For the ninth year, Pat and Emmitt Smith have hosted celebrity friends, sports heroes, and influencers for a weekend of high-profile philanthropy and fun. 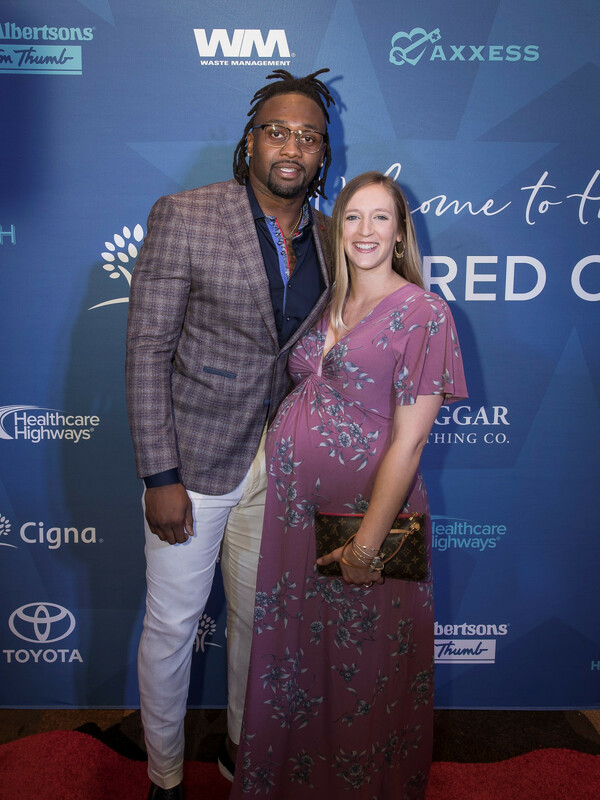 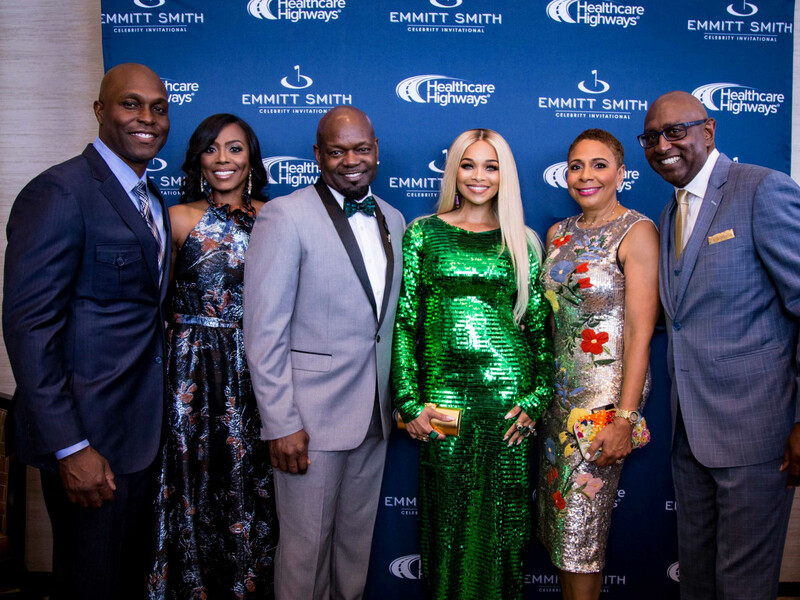 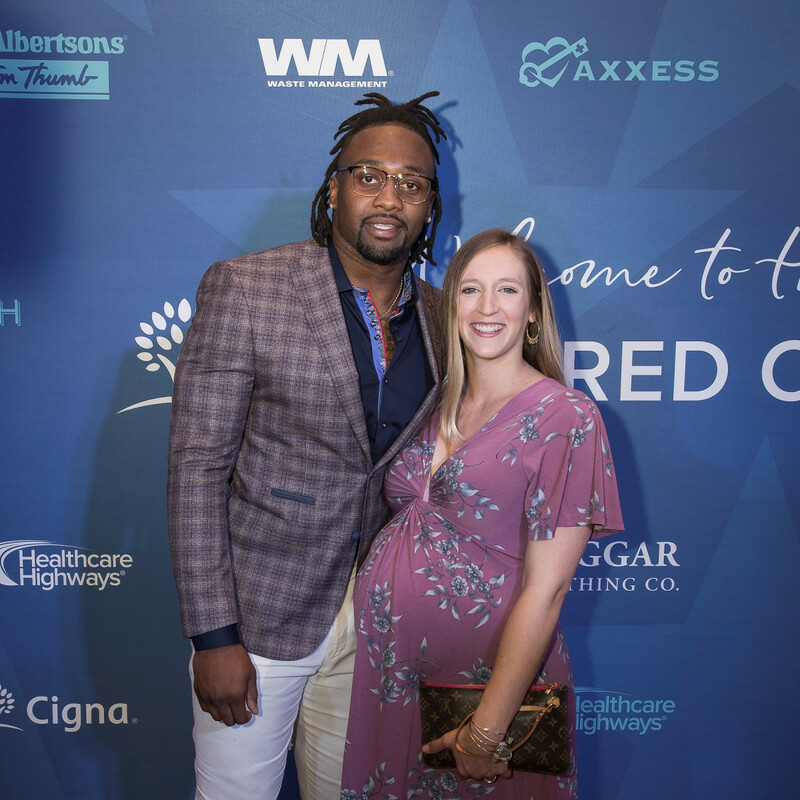 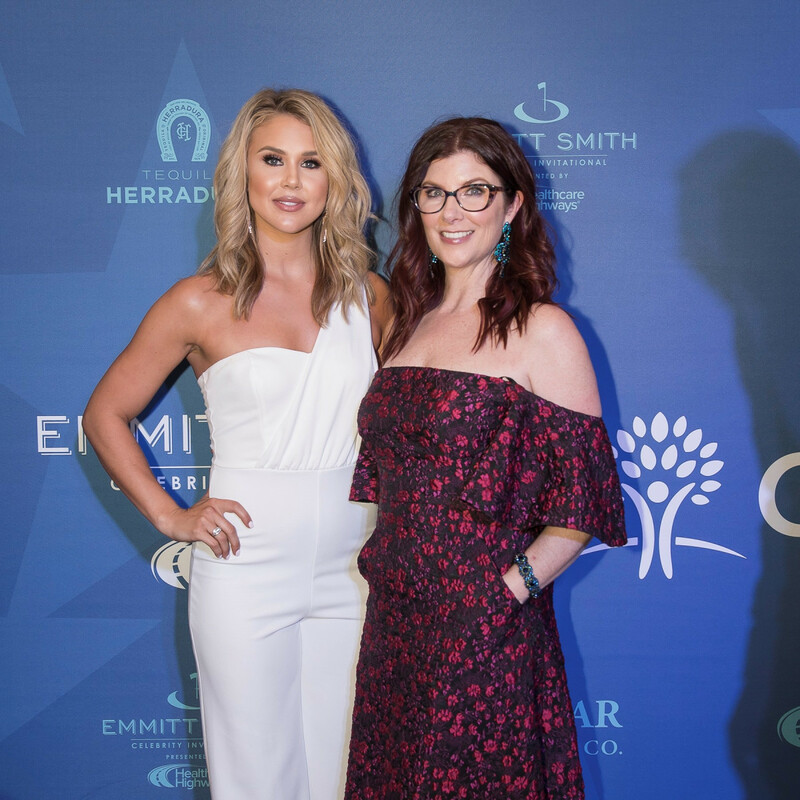 The 2018 Emmitt Smith Celebrity Invitational golf tournament and gala raised funds to impact the lives of thousands of North Texas families. 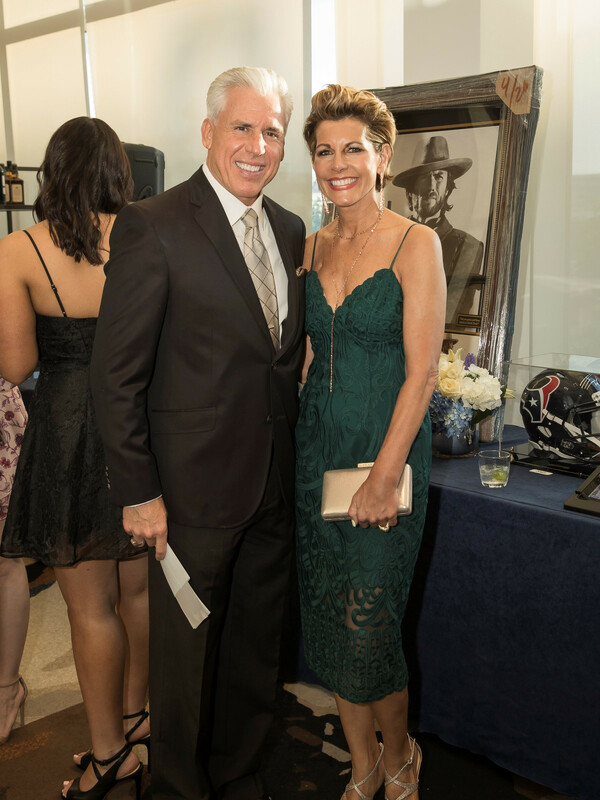 And this year's event honored a recently retired Dallas Cowboy for his work off the field. 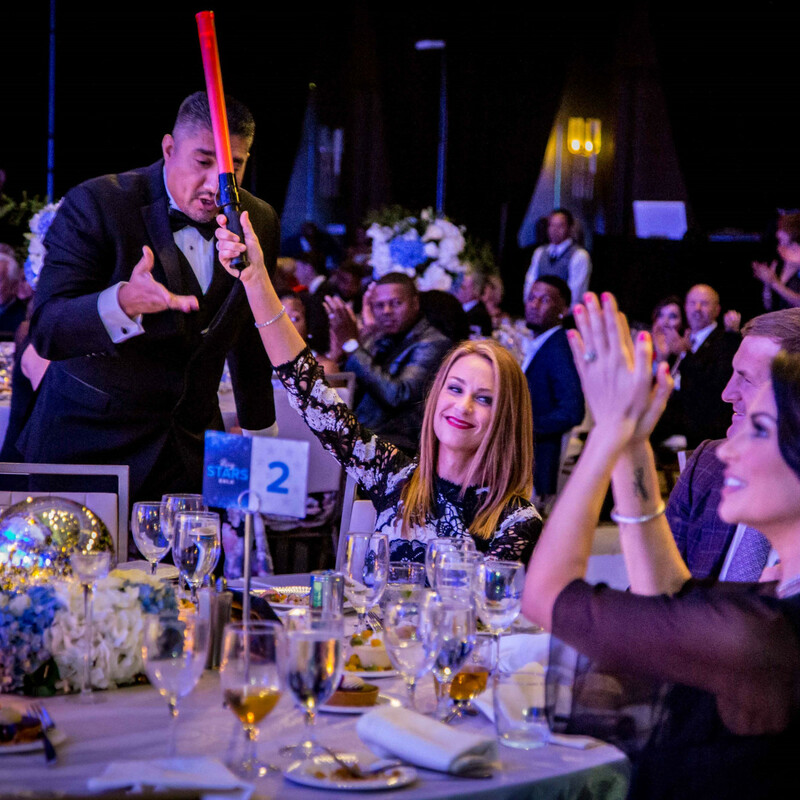 The weekend began with Friday night gala featuring a red carpet, cocktail reception, seated dinner, and auction. 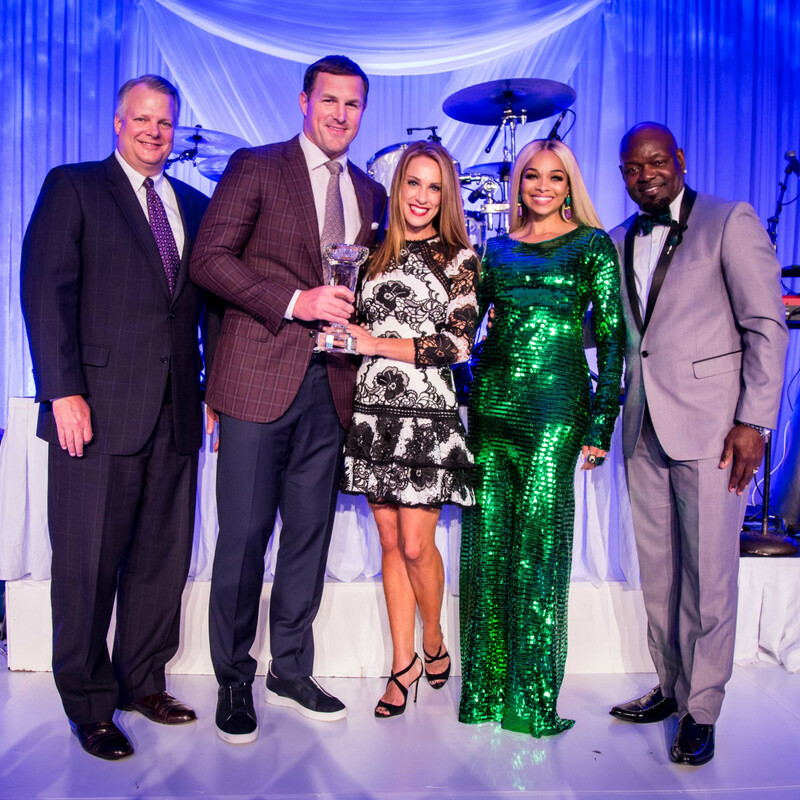 Helmed by honorary chairs Torii and Katrina Hunter and event chairs Janiece Evans-Page and Mark Page, the theme for this year was “Rising Stars.” Entertainment Tonight's Nischelle Turner hosted the event, which showcased the impact of the Pat & Emmitt Smith Charities' community work. 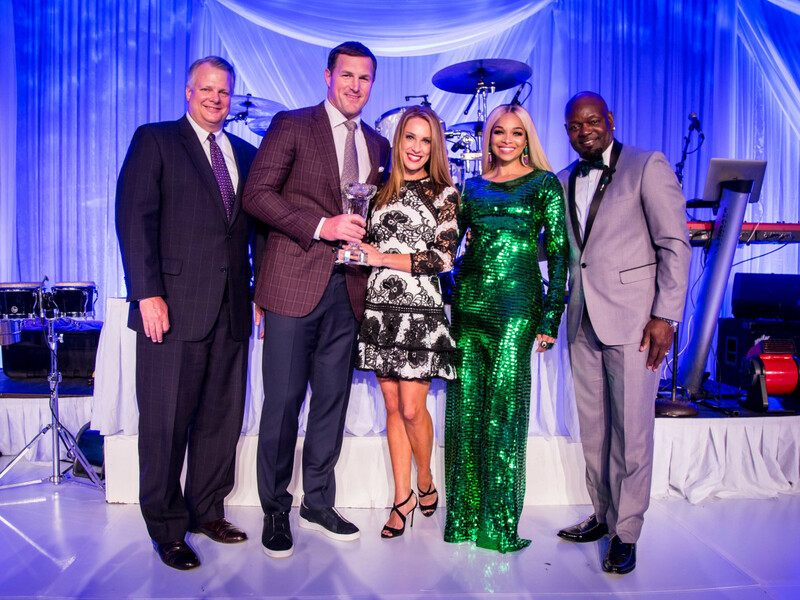 The event culminated with the presentation of the 2018 Roger Staubach Award to Cowboys' tight end Jason Witten for his work through his SCORE Foundation. 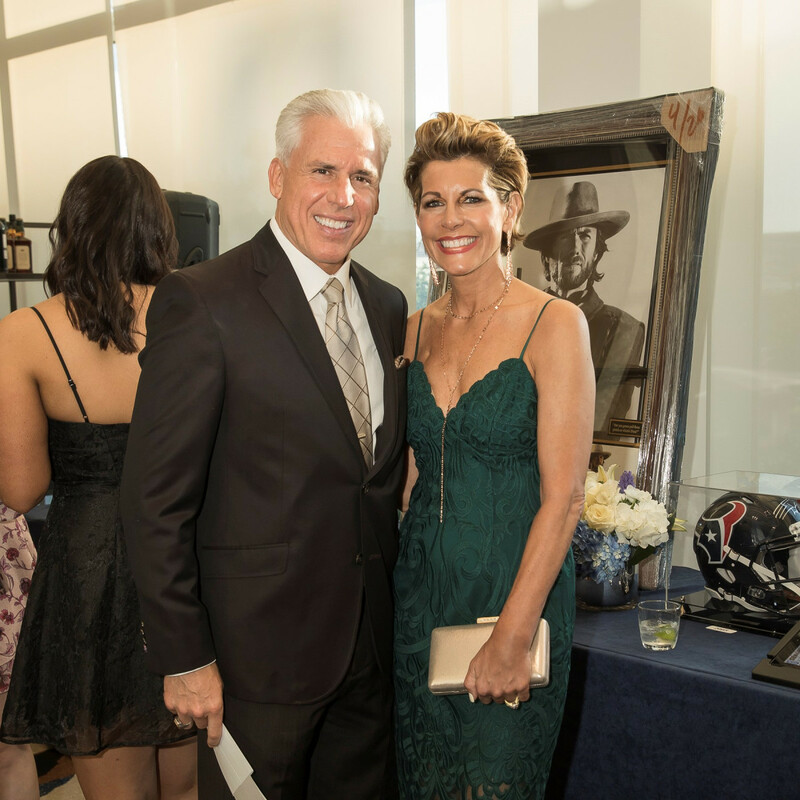 Founded in 2007, the SCORE Foundation battles against domestic violence and has positively impacted tens of thousands of families in Texas and Tennessee. 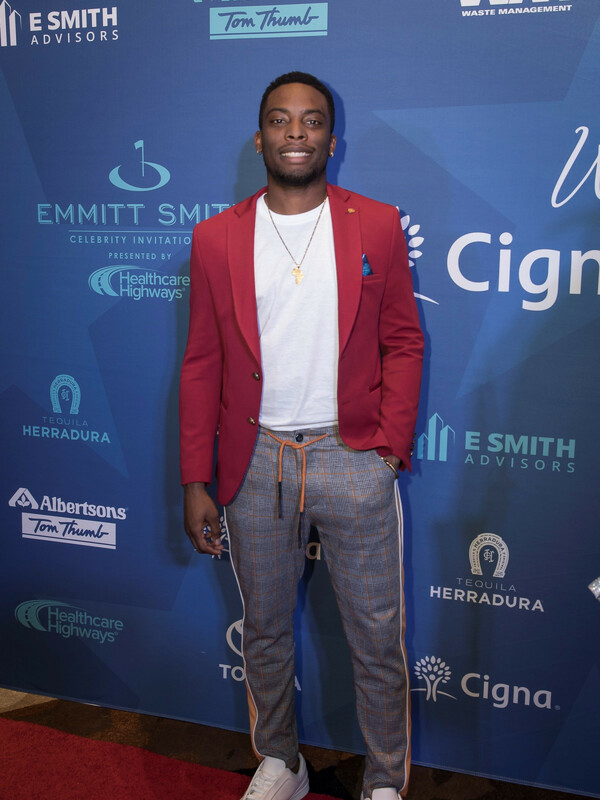 The next day, golfers hit the links for the Celebrity Invitational Golf Tournament at TPC Craig Ranch. 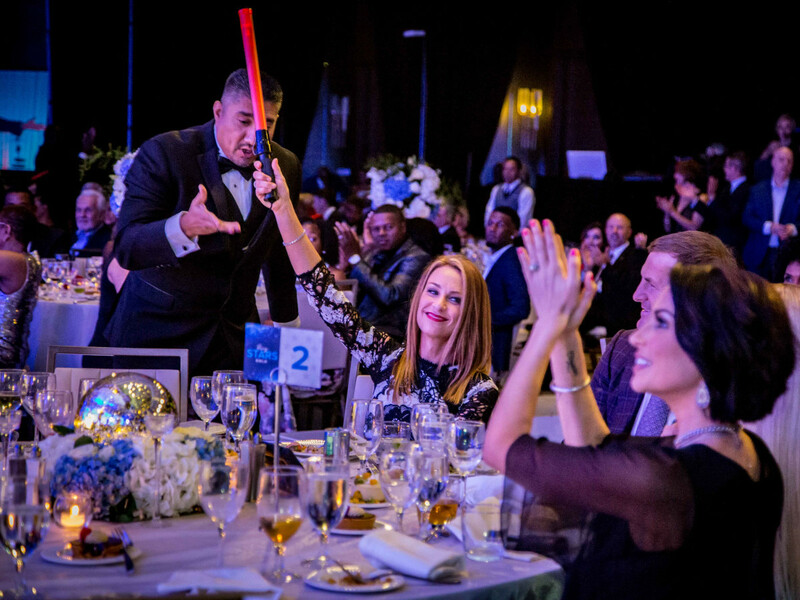 Players were paired with celebrities to vie for bragging rights and the $5,000 purse. 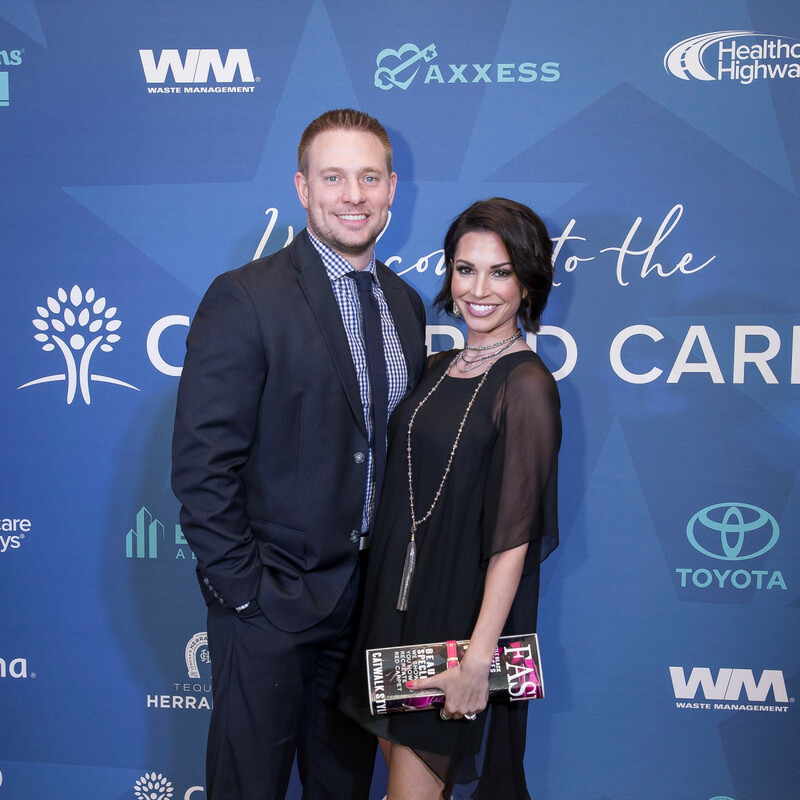 Several hundred ticket-holders watched the tournament and enjoyed games, face-painting, food and beverages, music and an appearance from Rowdy, the Dallas Cowboys mascot. 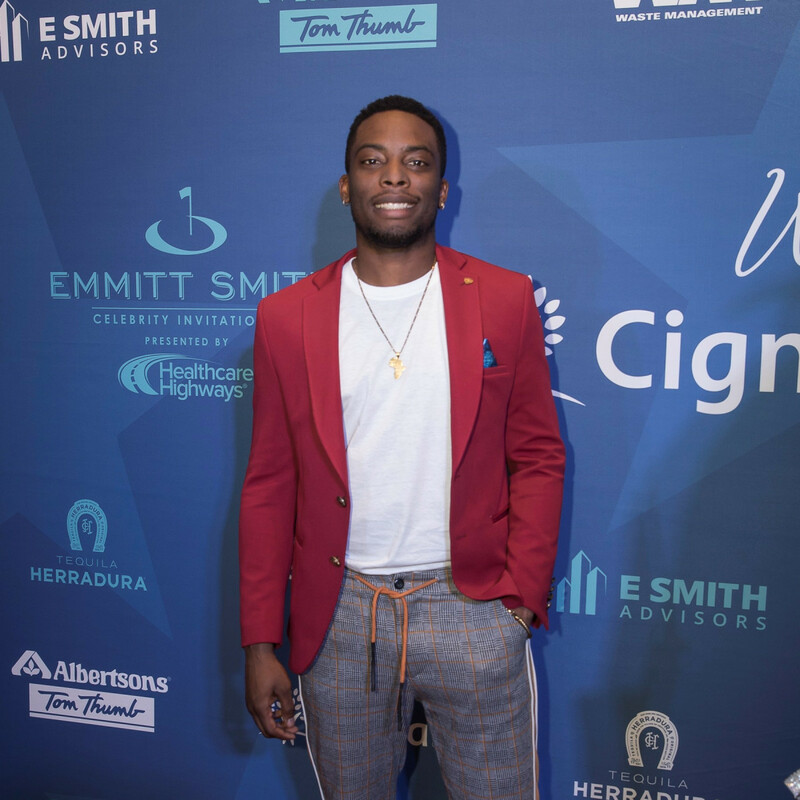 The winning foursome was made up of Chris Wilson, Sterling Sharpe, John Titus, and Jeff Graves. 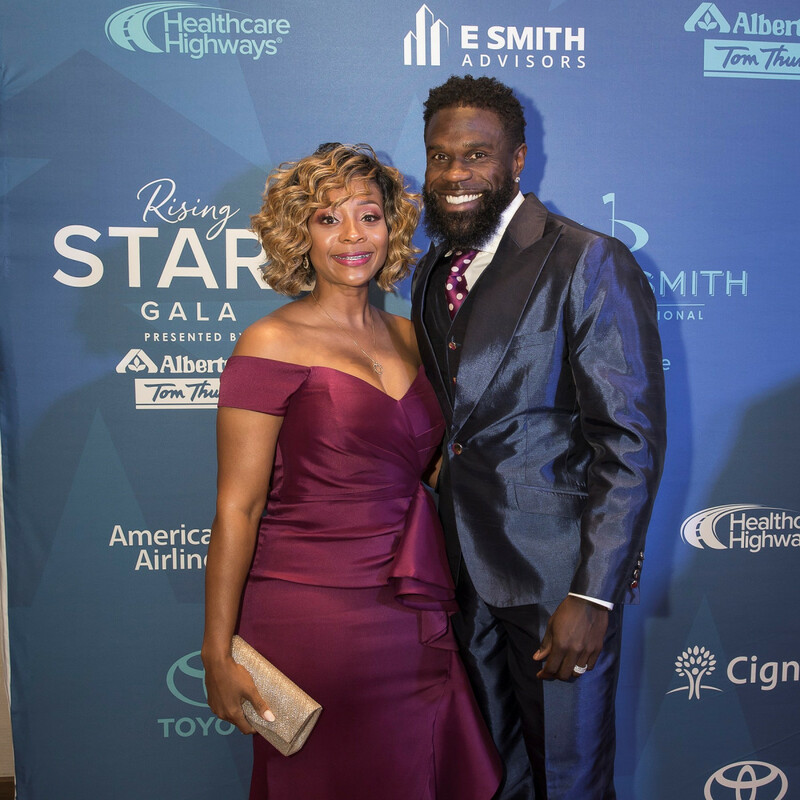 Pat & Emmitt Smith Charities supports high-quality programs in North Texas through grants, scholarships, and partnership efforts. 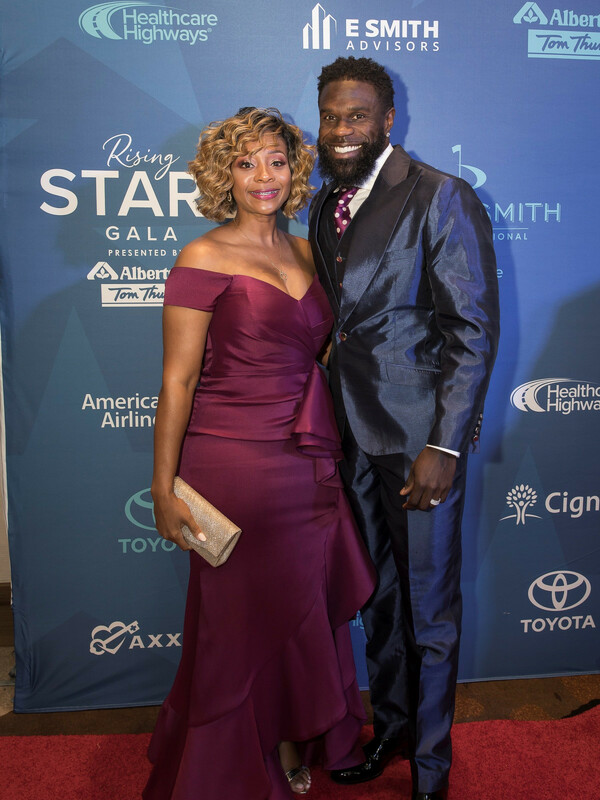 In addition, Pat and Emmitt Smith personally mentor a group of high-potential, high-performing, underserved students from the Dallas area through their signature program Team 22. 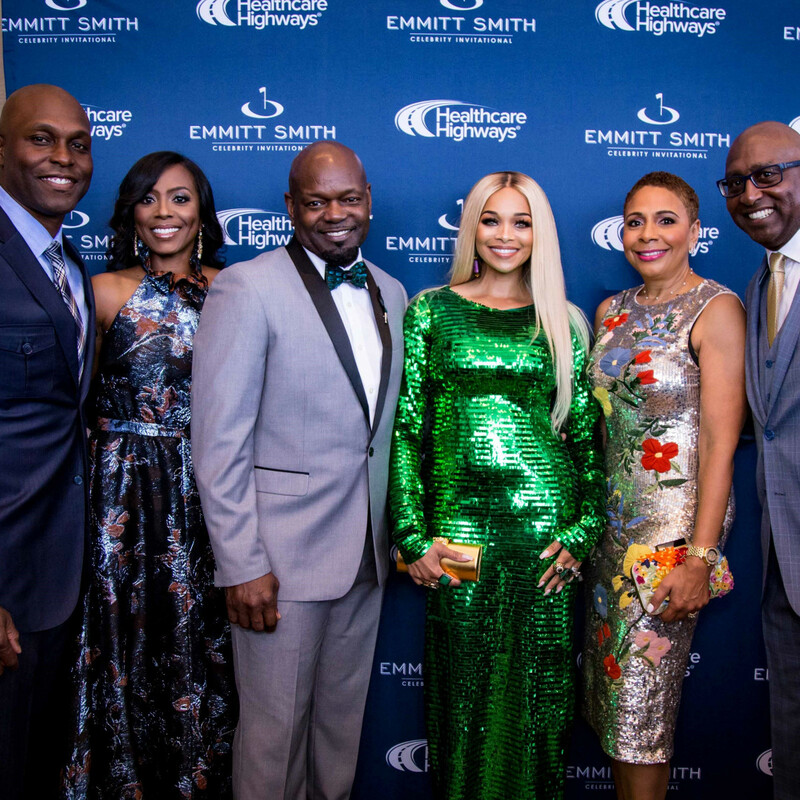 The Emmitt Smith Celebrity Invitational has raised more than $7.2 million in support of Pat & Emmitt Smith Charities and supported more than 150 charities in North Texas. 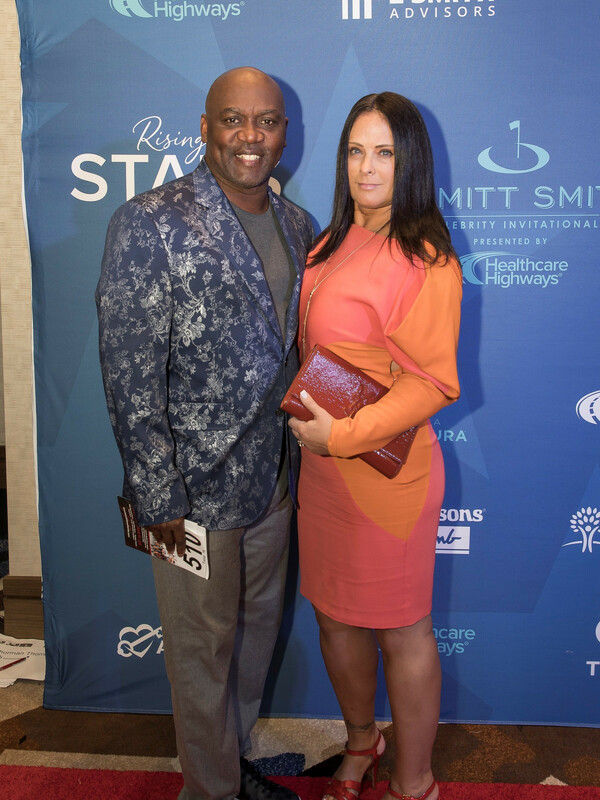 Who: Michelle Witten, Robert McCormick, Tye Strickland, Melissa Rycroft Strickland, Mioshi Johnson, Chris Johnson, Spud Webb, Ron Harper, Carin Alves, Kelly Sheehan, Thurman Thomas, Patti Thomas, Kavon Frazier, Gera Frazier, Libby Vincek, Cynthia Smoot, Jon Mellon, Dawn Mellon, and Woody McClain.